The holidays are right around the corner and that means hitting the highway for many of us. If you’re travelling this holiday season there are a few things you may want to equip your car with to make travelling less stressful! Isn’t it amazing how boo-boos can even happen in the car? A First Aid Kit is essential to pack away in your car. You can purchase a cheap or fairly cheap kit. You can get either of these kits at Target. This kit is a little more at $12.39 but contains 117 pieces! Keep Them From Killing Each Other Items! Give the kids some ownership and have them pick out the items below, just give them a limit so you don’t have a car packed with toys! Keep Their Stomach From Grumbling! You probably won’t need extra clothes if you’re packed to go away for a few days, but it may be good habit of keeping an extra set of clothes, pajamas, and toothbrushes in a small overnight bag in the car anyway! Road trips make great memories so don’t forget to schedule enough time to just enjoy the ride! Stop along the way in little towns that you’ve always wanted to visit, take pictures, act sill and have fun! Happy Road Tripping! Okay that’s enough some of this is simple enough others will take a concious effort, but I’m ready for the challenge! One of the most difficult aspects for children to adjust to in a divorce or seperation is the new schedule. That is an unfortunate casulty that affects everyone. Kids want to know where they’ll be and they crave structure. It isn’t easy going from mom’s house to dad’s house and it can be confusing. I have a personal calendar in my planner that has the weekends and days that my daughter is with her dad. Anya has expressed interest in wanting her own calendar to keep track of where she will be. At first, this made me sad, since my daughter is six, but then I realized that it would be a useful tool for her. She does deserve to know where she will be. Depending upon the age of your child and your own personal situation, you may want to consider buying them a calendar to hang in their room, so they can keep track of when they will be at dad’s house. Make it fun, let them pick out the calendar and maybe use stickers to designate and distinguish between the days they will be with you and when they will be with their dad. 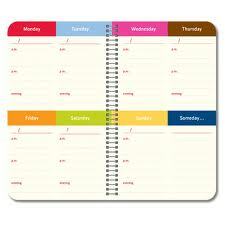 Encourage them to write other events on their calendar, such as holidays, birthdays, school events, parties, etc. 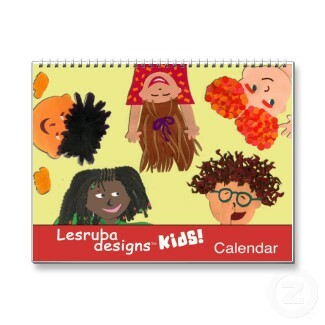 A calendar also encourages organization in your kids at an early age. I don’t believe switching between mom and dad’s house is made all better by giving your kids a calendar, but it does inform them and gives them a sense of structure that will at least help in the transtion. This is one of my favorite pitchers and unfortunately got chipped. I’ve tried to glue it back together, but it just isn’t cooperating. But, I couldn’t bear to get rid of it just yet so I used it for my kitchen utensils and it worked perfectly! Look at how you can can reuse some of the things you have in your own space, you’ll be surprised at just how creative you can get! Looking for a way to store those little toys that you keep tripping on? 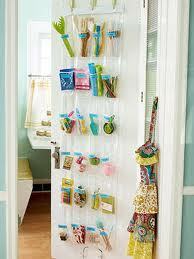 Use a hanging shoe organizer to neatly organize them so you they aren’t all over the place. You may want to get the shoe organizers that are clear so your kids can easily see what the pockets contain.Hang them over the door and get the clutter off the floor. About 4 years ago, I got bit by the organization bug. I devoured books about organization and came across a book written by Donna Otto, Secrets to Getting More Done in Less Time. I became obsessed with organizing, I craved order in my life, especially since everything else was so uncertain and organization was exactly what I needed to give some structure. I began to buy storage bins, magazine holders, binders, and anything that would help organize my belongings. Now, I am so grateful for organization and it has become a gift to me at this time in my life. Unfortunately, I’m going through a custody case, and as exhausting as it can be I can’t imagine how much more painfully exhausting it would be if I didn’t keep my records orderly and have the information I need at my fingertips. I’m going through the discovery process and it is amazing how much I have to gather together for the lawyers. It is a royal inconvenience, but worth it because this is for my daughter and for her I can endure anything! The one lesson I’ve learned is how crucial it is to keep my life orderly. I can’t imagine the tizzy I would be in if I couldn’t locate the documents I needed, it would just add more stress to an already stressful situation. I’m so grateful for those binders that house my important papers and has made this process a bit less overwhelming. I bought 50 plastic coverings to place the documents and copies in and I have 10 left and I still have some more items to fill them with! It is frustrating pulling my life apart, but I’m happy that God placed the desire in my heart to get organized when I did. So ladies, take some time out and file those W2s, receipts, insurance forms, and anything else that should have a home, you never know when you’ll need it. Hopefully, you won’t, but in case you do, take some stress off yourself and be prepared with a little pre-preparation! To Do Lists are my friend! I find that I get much more accomplished when I have a to do list. I got this list at Michaels for a buck. I can write my shopping lists and to-do items, post them on the refigerator, and rip off the sheets and take them with me on my errands. Not to mention they’re pretty!